2. You're attempting to copy SEO metadata. -Please note: All stores using Replay will need to subscribe to and pay for this monthly plan in order for Product metadata copying to be enabled. If using a third-party metafield app (such as, for example, MetaFields Editor), Replay will automatically copy any metadata that gets added, changed, or deleted from Products within that app - without any extra steps taken by you. If you have a continuous, automatic copy task set up for your Products, any additions/changes/deletions to metadata from within these third-party metafield apps will trigger the copy process, and this metadata will then automatically be copied over to your destination store in real time. 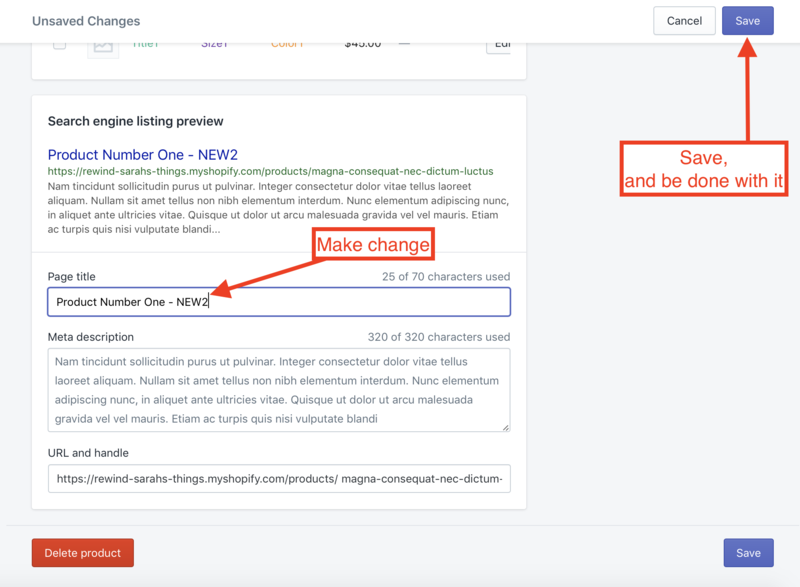 This will allow for the change in the Product's SEO data to be properly captured by Shopify, allowing them to send Replay the proper webhook needed in order for our system to know that there's something that needs to be copied over. 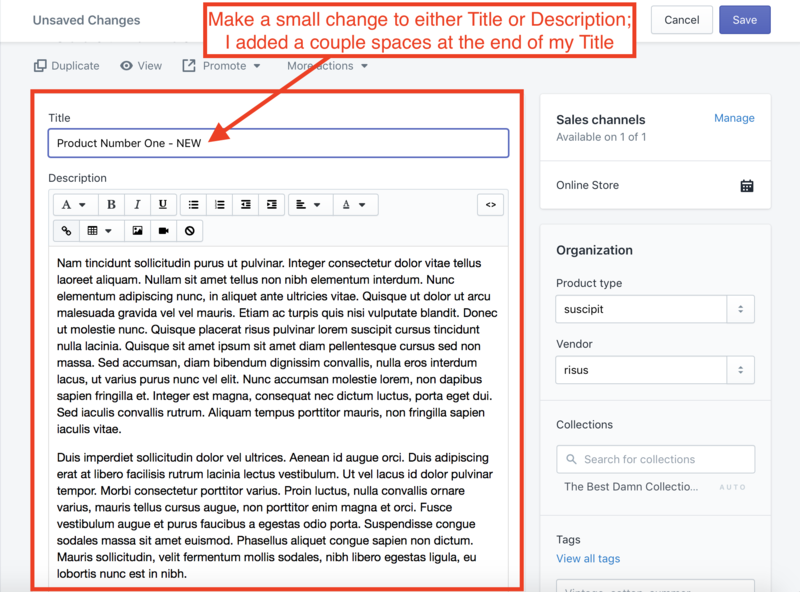 This is a very simple process, and can be done as effortlessly as adding an extra space in the title, or anywhere in the Product's body description, before saving the Product. 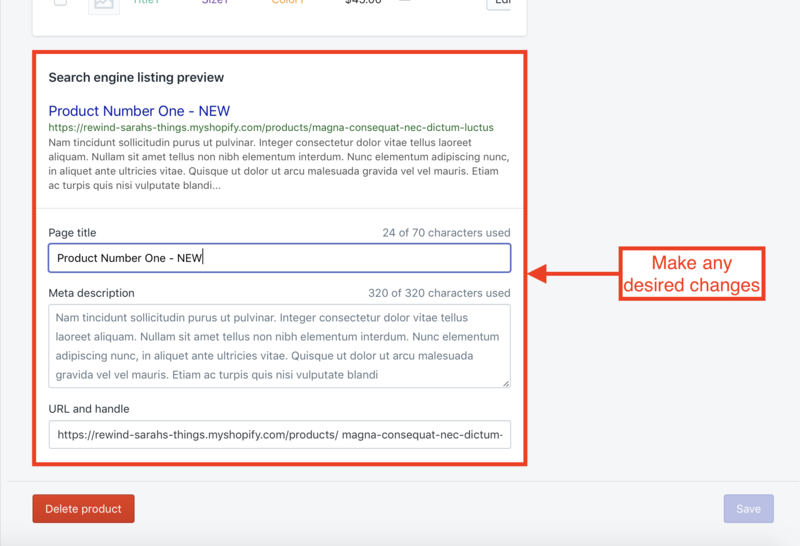 Edit a Product's SEO metadata, click "Save", and that's it. 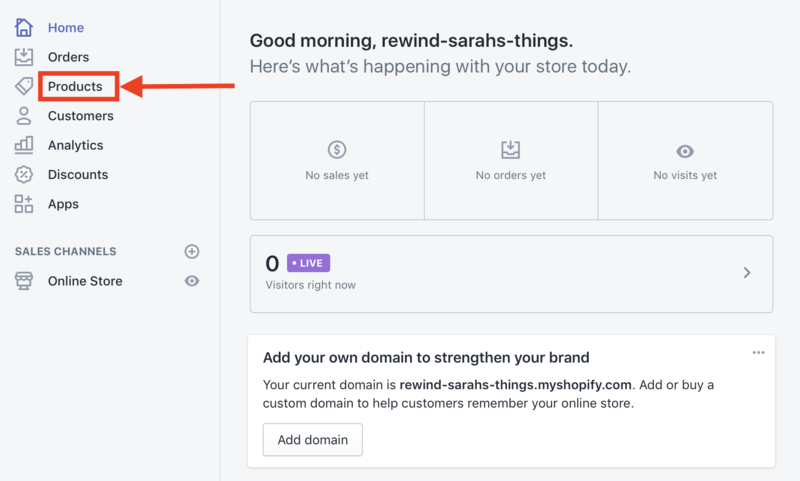 Shopify won't send the proper webhook needed in order for Replay to be made aware that you have new Product metadata that needs to be copied over. 1. 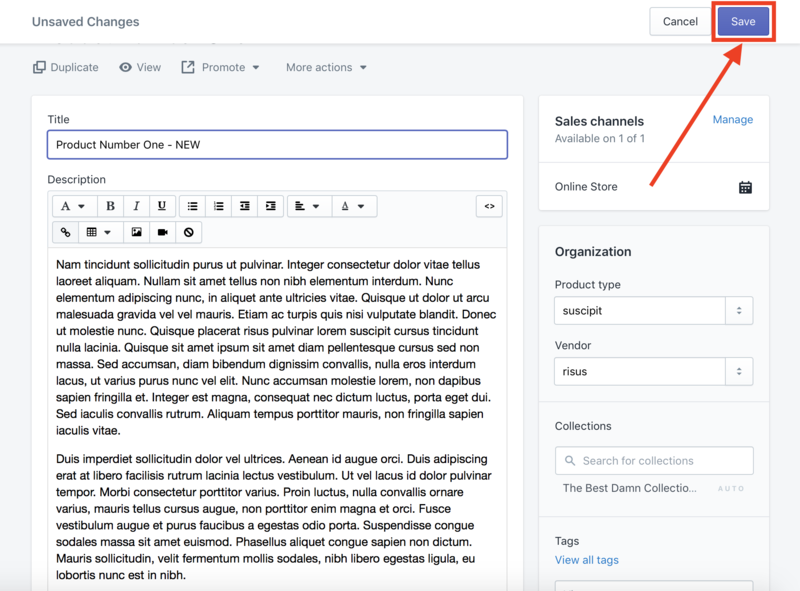 From your store's Admin dashboard, go to "Products" and select whichever Product you want to add SEO metadata for. 2. Scroll to the bottom of the page for that Product, and click "Edit website SEO". 3. Add, make changes to, or delete any desired metadata from the options: Page Title, Meta description, and/or URL and handle. 4. Scroll back up to the Product's title and body description. Make ANY sort of change in either of those that can be captured when you click "Save" at the end. For example, change one piece of punctuation somewhere in the body (if possible), or add an extra space at the end of your title. 5. Click "Save" in the upper right-hand corner of the page. 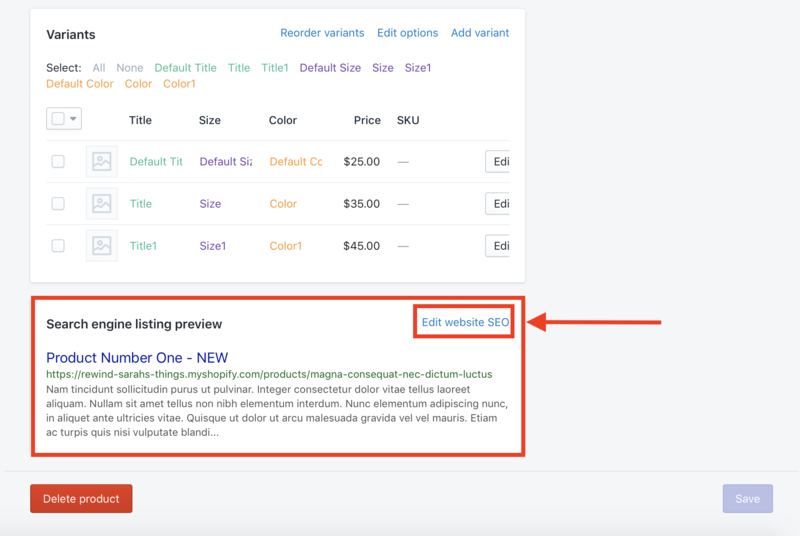 The SEO metadata you added/changed/deleted will now be saved, and the proper webhook will now be sent from Shopify to Replay, notifying Replay that there's new Product metadata that now needs to be copied to your destination store. 6. Open up the Replay app within your master store, and run a copy task that involves that Product. Its metadata will then be successfully copied! 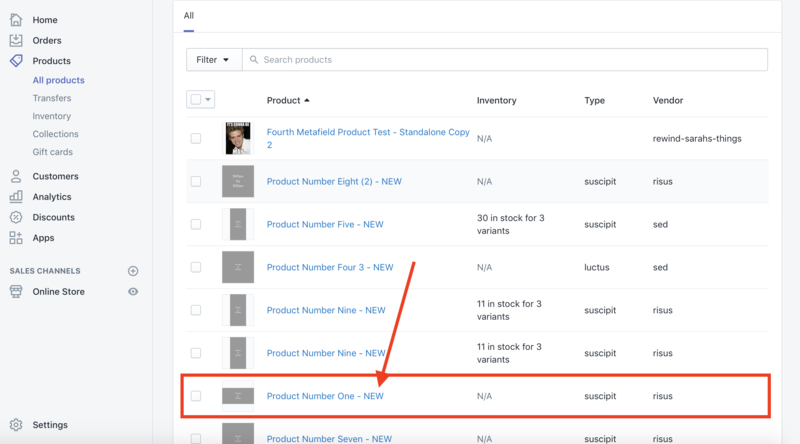 If you already have a continuous, automatic copy task established for your Products, this metadata will then be copied over in real time (without any further actions needed to be taken by you).